This carpet brings together the beauty of modern design and colors combination with Ivory, auburn and blue color in contemporary style. This is “One of a kind” hand-knotted carpet. 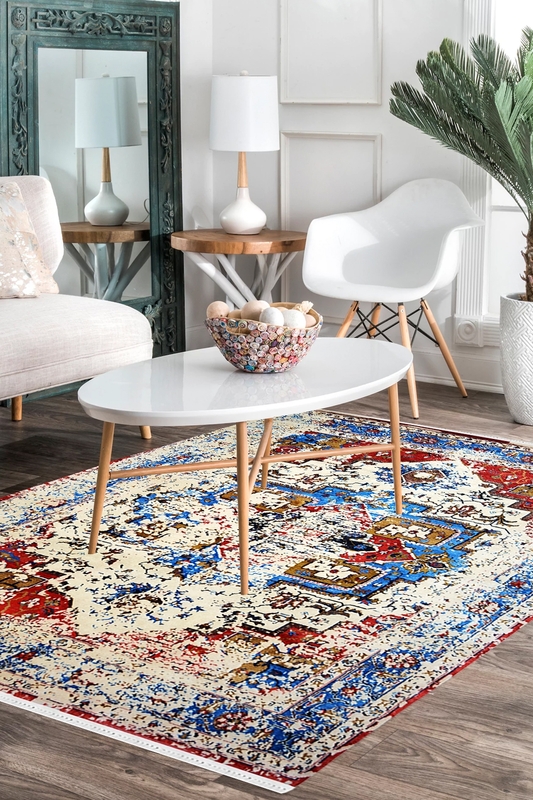 Designed with the light palette of modern art, this hand-knotted woolen carpet creates a relaxing atmosphere for any room. While the eye-catching pattern on the carpet highlights its visual charm, 100% New Zealand wool and finest quality cotton assure its durability and easy maintenance. This is ideal for a living room because it contains blue color, ivory colors which provide a calm touch to space. - Back look just like front due to the intricacy of craftsmanship and fineness. - Process Duration: Approx. 6-7 months.